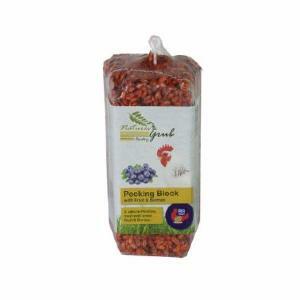 Natures Grub Pecking Block with Fruit and Berries is suitable for chickens as a treat. Comes with built in hook to hang easily. Wheat, maize, dried fruit, dried berries, grit and binder.